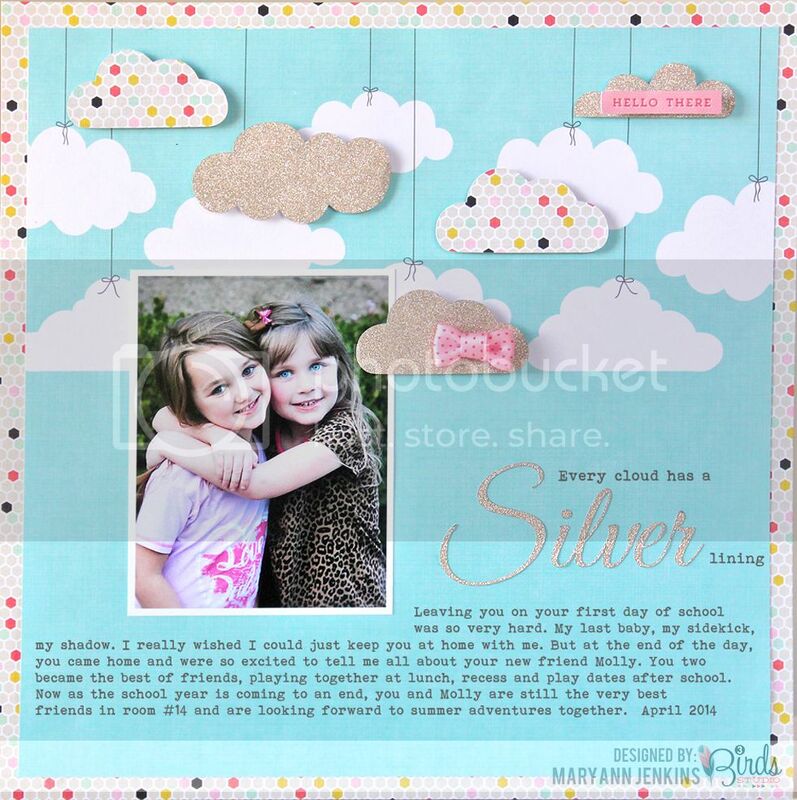 Here's a layout for 3 Birds Studio using the new Midday Medley collection and a new favorite pic of Gracie and her bff. It was my first time using the Glitter Paper Pad, and I'll admit I was a bit nervous about cutting the glitter paper with my Silhouette Cameo die cutting machine, but I finally gave it a go and loved how smoothly it cut! I cut the clouds first, and they cut through perfectly, just like I was cutting a piece of cardstock. The best part though was no loose glitter everywhere! If you have tried other glitter papers before, you know what I'm talking about ;) I used the glitter cardstock setting, and the double cut feature too as the machine suggests, to cut both the clouds and my title. After cutting the clouds, I added foam adhesive tape to the back to give them a bit of dimension, then added the bow and "hello there" 3D sticker. I'm not sure yet if this will go in Gracie's school scrapbook or in her every day scrapbook, for now it's hanging in her room, taped to her door with no less than 8 pieces of tape, but it was her idea to hang it for awhile and that's what matters most. Very cute! I love the clouds. Such a sweet layout, Mary Ann!! 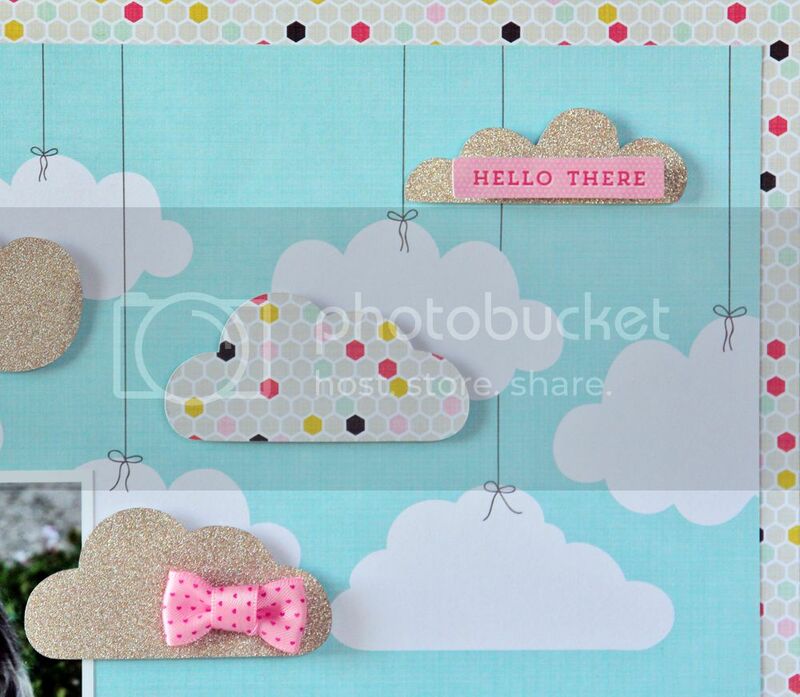 I love what you did with the clouds! I love it!! Love the clouds! Love the LO! !